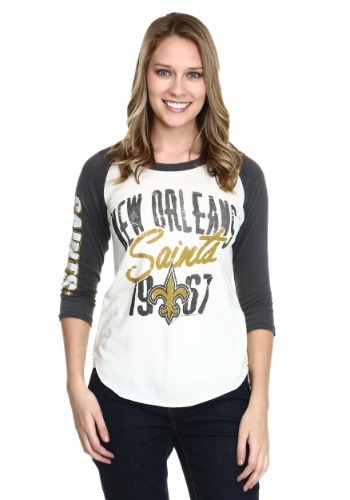 If you're the kind of girl who would rather trade in a fancy evening gown for a comfy NFL tee and a pair of blue jeans, we have just the perfect shirt for you. 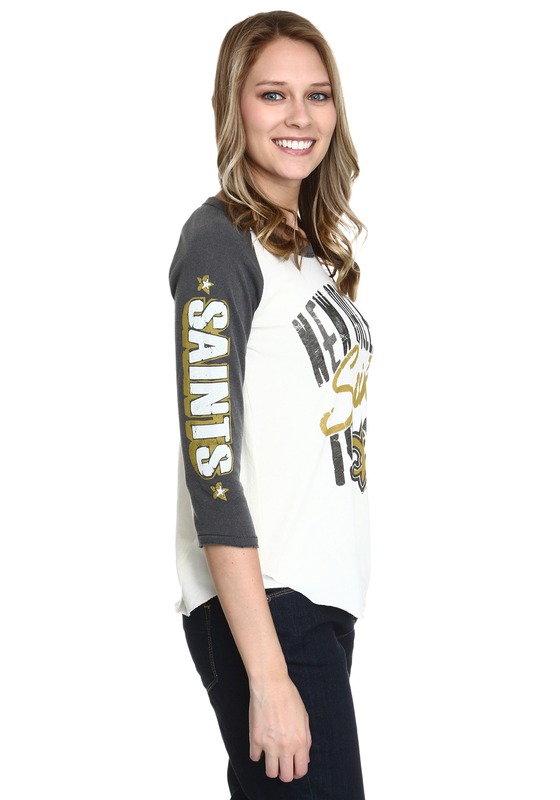 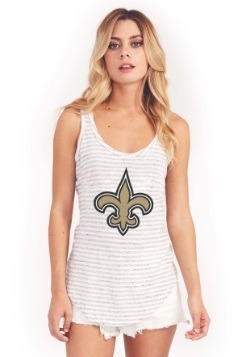 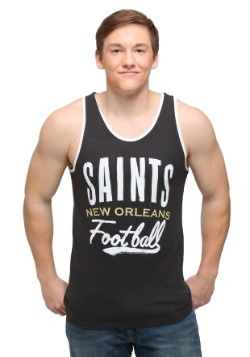 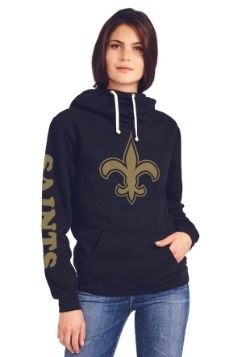 You'll love wearing this New Orleans Saints All American Raglan Shirt because 1) the sleeves are the perfect length 2) the logo and team name is right on front and 3) it's a vintage-style NFL shirt that gives you that sporty, yet feminine look. Wear this tee to the stadium to cheer on your favorite team or wear it when you're hanging out with your friends.